Once upon a time, in the late 1970s, VHS/BETAMAX and video stores were widely introduced to the masses opening up an entirely new and wondrous world for movie lovers. No longer would you need to go to the theater for a re-release of a movie you missed on its first run, nor would you have to scour the TV Guide trying to pick which picture(s) you will be watching during the week. With the advent of these convenient videotapes, Video Cassette Recorders made it even easier to see those TV shows and movies that you'd otherwise miss for whatever reason. What if there's two things on at once that I'd like to see? No problem, you can tape one and watch the other. 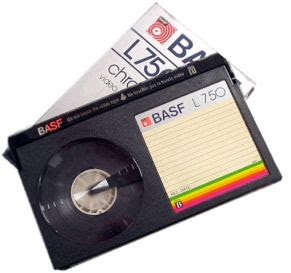 The following are my memories (as much as I can remember) of discovering the wonders of videotape and VCR's before the days it all came down with the invention of DVD. There's also additional memories featured here of things I enjoyed from my childhood--collecting VHS tapes, comics and other items that are, and have long been components in my love of movies. For some of these, I sit back and laugh about it and others, I wouldn't mind re-living again (save for going to school again, that is!). When we made the jaunt from a military base in New Port News, VA to this quaint town in NC in the late 1970s, I was around 4 or 5 years old. I still remember quite vividly drinking coke in those longneck bottles, putting salted peanuts in there and drinking it down (did anybody else do this? There seems to be a small cult of us out there who did) while Barry Manilow's 'Copacabana' played on the radio. When we moved here, there were two drive in's in town. We patronized both. Today, one is still in operation (it was closed for years, but reopened) and the other was turned into a tanning parlor. We frequented these "Passion Pits" (passion was a word unknown to me at the time; all I cared about was monsters and aliens) regularly on weekends where we caught double and triple features. In the 1970s, everybody was Kung Fu Fighting. This continued into the early part of the 1980s as well till they ended up on television every night during the week. It was there at the drive in that I caught a lot of kung fu movies like STROKE OF DEATH, MAD MONKEY KUNG FU, MASKED AVENGERS and SHAOLIN THE BLOOD MISSION. At the time, my mother was very protective over what movies I saw. If the film was questionable, I had to get in the back of the car and go to sleep (either that, or they were wanting to make out). It was also the first (and so far only time) I have ever seen an owl in flight when the rather large bird took off in front of our station wagon traveling back home. My father had three VHS players at the time. These early VCR's weren't the type of players that later became the norm, though. 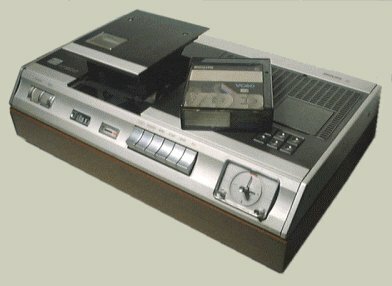 These players looked like larger sized tape recorders used by reporters, police, etc. You'd press this large switch and the top would pop allowing you to slide the tape inside. This was cutting edge back then. 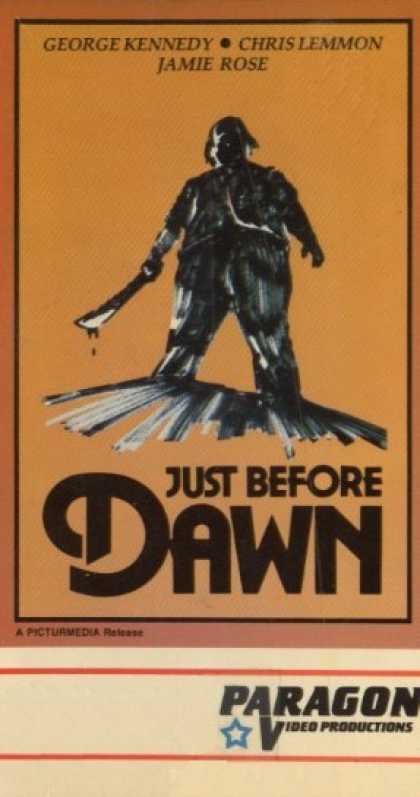 I remember him renting DAWN OF THE DEAD for the first time and the battle to see this movie was great, but I finally got to see it in 1984 (I got to see MOST of it as my mom made me fast forward through most of the gorier parts) on a VHS tape my dad gave me that also housed SAMSON VS. THE VAMPIRE WOMEN (1962) and CHILDREN OF THE CORN (1984). Yes, we were all pirates back then. VHS tapes were incredibly expensive during this time. Prices ranged from $60 to $100 for a single tape! Renting them was also high. It cost $6 to rent just one movie. VHS weren't the only game in town, though. My dad was obsessed with the movies ALIEN and CONAN THE BARBARIAN. He bought them multiple times and ALIEN retailed for $99!!! Beta (or BETAMAX) appeared a couple years earlier from VHS and although superior, lost the Great Video War becoming an obsolete format towards the end of the 1980s. Bigger, boasting longer running times, and much less expensive, VHS became the major player in recordable devices. 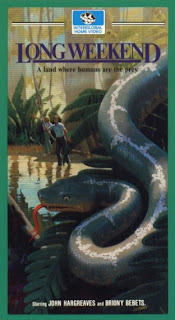 Beta always fascinated me, though. I never had a Beta player, but there was this one video store (that eventually became my 'Tape Haven') in town, 'The Video Station', that carried a plethora of movies on Beta that weren't on VHS. 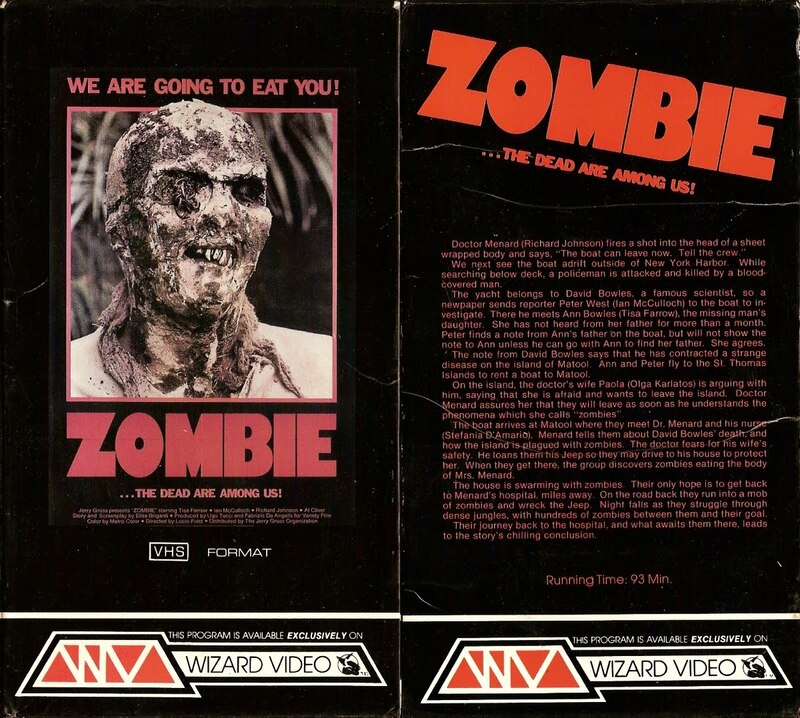 The Beta tapes also had some nice covers versus some of the (then) bland VHS boxes. Laserdisc was hot on the heels of the feuding tape brands and immediately pronounced its superiority to the magnetic tape held within a plastic clamshell. Far more popular outside North America, LD's unfortunately never quite took off here outside the most dedicated collectors. They also outclassed tapes in that you could fit multiple audio tracks and other minutiae onto the device; these are more popularly referred to as "Extras" these days. I recall this one video store in town called 'Action Video' that had all three formats. They had less LD's than the others, but I remember ogling the nice sampling of covers they had on display for what looked like vinyl records to me. 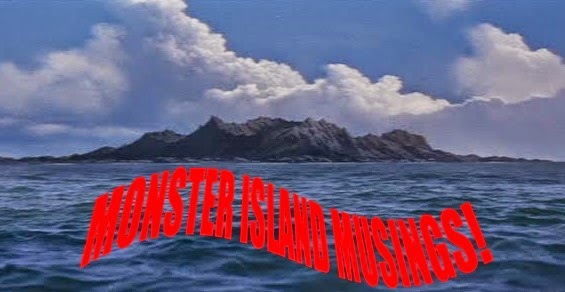 JAWS (1975), MY BLOODY VALENTINE (1981) and IT CAME FROM HOLLYWOOD (1982) were some of the titles that stood out to me. We never had an LD player, either, but they always captured my attention since my dad had an extensive LP and vinyl 45 record collection including 'The Mothra Song' by 'The Peanuts', the then popular duet of singing beauties who also played the tiny twins of the Infant Island God, Mothra. He also had the Richard Delvy song, 'Green Slime' featured in the American cut of the film of the same name. Anyway, there was also this one electronics store called 'Kelly's'. This was my first experience with VHS tapes. They had this book shelf sitting towards the middle of the store that housed a menagerie of tapes. A lot of the tapes, oddly enough, didn't have boxes with artwork. Those that did were movies like BARBARELLA (1968), FLASH GORDON (1980) and a slew of Disney cartoons and movies that came housed in these puffy, yellow boxes that were bigger than the cases that tightly fit the tape, but smaller than the soon to be prominent oversized cardboard boxes. 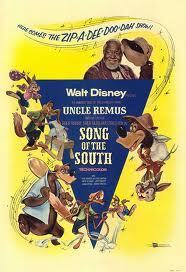 One of the Disney films (or at least a portion of it among other Disney toons on the same tape) among these was SONG OF THE SOUTH (1946), a film that is still unavailable in complete form in America because of possible offensiveness. I also got to see all, or most of THE AMOS & ANDY SHOW on VHS, another program that is currently barred from release because of racial sensitivity. It was from 'Kelly's' that I first saw 20,000 LEAGUES UNDER THE SEA (1954), OLD YELLER (1957) and various other Disney spectacles. We went to Disney Land in Florida once in the early 80s and two things stood out--The Haunted Mansion and the Pirates of the Caribbean rides. We also took a photo dressed up as pirates standing behind a life-sized mannequin of a buckaneer with a jovial veneer. 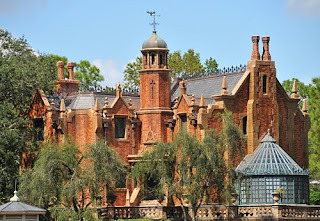 Although I am no longer a huge fan of Disney, I was one of millions that was enraptured by their magic and elegance. I think it was 1982 when I first saw HALLOWEEN 2 (1981). It wasn't long after the film came out. I had to sneak to see it. 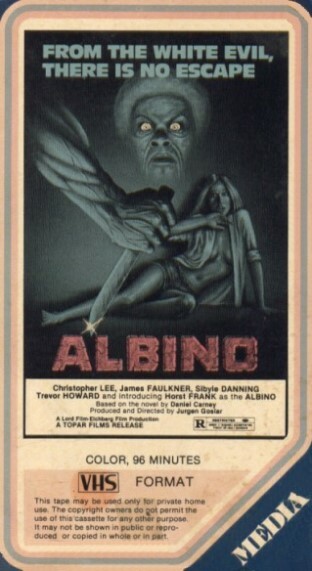 I hadn't seen the first HALLOWEEN (1978) yet, but this was rectified when we rented it from 'Kelly's'. My dad always said he liked the sequel better than the original because there was more going on. Still, the movie gave me the willies in much the same way the sequel did and to this day, the movie and its music (HALLOWEEN in general) are one of a rare few films that continue to make me look over my shoulder when I see them. I remember when I bought the HALLOWEEN 2 soundtrack a little over a decade ago. I was driving home, it was around 10pm, there was a major thunderstorm and pounding rain. Listening to the music on my way back from the Borders store I purchased the disc, I couldn't help but feel that someone was in the back seat. I kept looking into the rear view mirror to make sure no one was looking back at me. I even turned and checked the backseat to ensure nobody had stowed away in the back floor board! As with everything else, I'm not sure where my preoccupation with film music came from. Maybe it was those groovy 45's mentioned above? Since then I've amassed a small collection of various scores ranging from Japanese monster movies to British and US science fiction and horror. Another score (and movie) that stands out as audibly powerful is JAWS (1975). 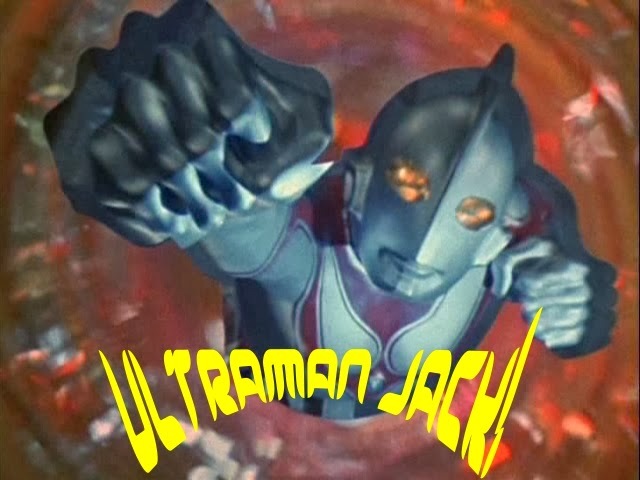 It's quite possibly the single most recognized theme music of all time. 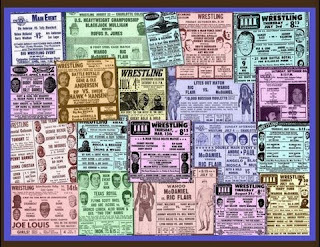 Another great past time was watching wrestling on television. The time was the early 80s and I recall becoming interested in wrestling through my dad and his twin brother, my uncle. Through them, I became fascinated with this sport that was far more realistic than it is now. They liked pretty much all wrestling, but I was more interested in anything that was NWA related. I absolutely HATED (and still do) what was then called the WWF. I just could not connect with the circus show shenanigans and colorful characters. Nor the cartoons, or the action figures. 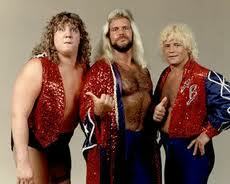 For whatever reason, the NWA was where it was at in my eyes (Maybe it was all the free flowing blood?). These guys seemed real to me. They were like people you would meet out on the street. Considering Greensboro was barely 40 minutes away, it wasn't unusual to see many NWA stars from time to time. 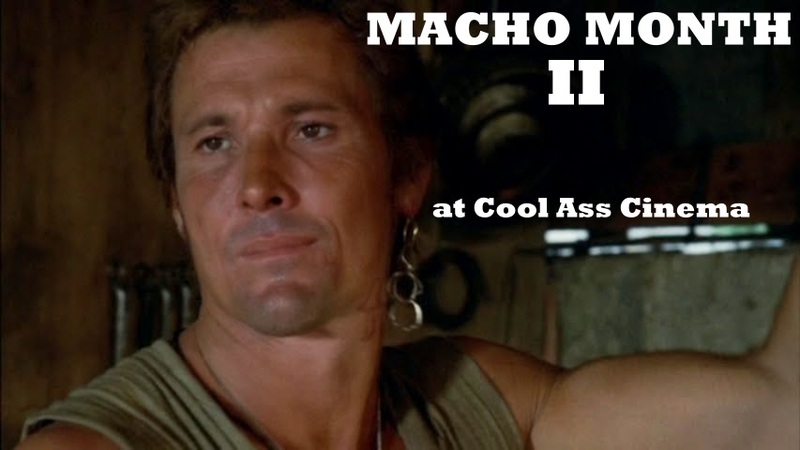 These heroes and villains were far more tangible than the likes of Hulk Hogan, Sgt. Slaughter, The Iron Shiek and those guys. 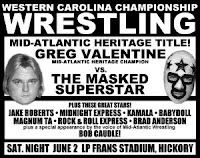 Occasionally I accompanied my parents to the Greensboro Coliseum where we witness matches from what many consider the best wrestling organization on the planet. "Blackjack" Mulligan was one of my favorites. Not sure why, but his imposing form made an impression on me. You used to get these programs before the events and Mulligan was coming out for his match. We were sitting at the edge of where the wrestlers enter the arena. Mulligan (who had signed my program; Sadly, I no longer have this) emerged, saw me and rubbed my head before continuing on to the ring. This was an awesome experience for a little kid like myself. I was really saddened when my folks were going to Starrcade '83 in Greensboro without me. I don't remember why, but I really wanted to go. 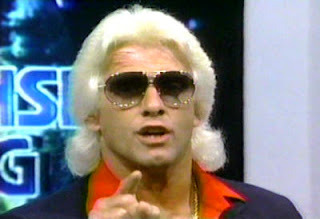 This was the event where Flair finally won the NWA World Heavyweight Championship belt from long time title holder, Harley Race. I used to have lots and lots of wrestling magazines as well. 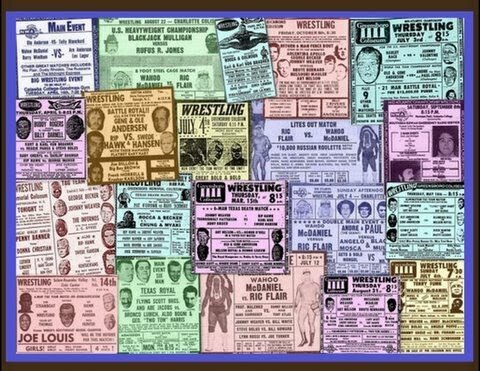 With guys like Flair, Dusty Rhodes, the Koloff's, the Horsemen, The Road Warriors, Magnum TA, Baby Doll, The Rock and Roll Express, The Midnight Express, Boogie Woogie Man Jimmy Valiant, The Raging Bull Manny Fernandez and so on and so on, it was a great time to be a wrestling fan. 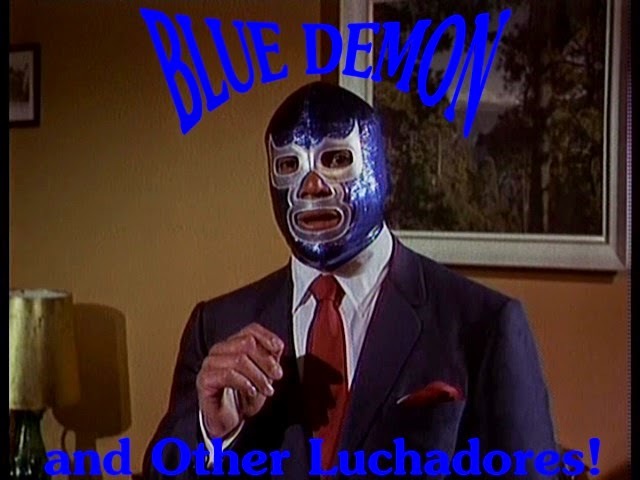 But on Saturday mornings, there were other great wrestling brands on TV. World Class Championship Wrestling was one of the biggest. Straight from the famed Sportatorium in Dallas, Texas, it was here you could see some truly brutal wrestling where the toughest of the tough went to beat the hell out of each other. The world famous, yet tragic Von Erich Brothers and The Fabulous Freebirds were the nucleus of this organization and their bloody feud made up some of the best this once powerful federation had to offer. Since this time, my interest in wrestling has all but disappeared save for the 70s and 80s eras. I had pondered starting a 'Legends' Wrestling blog utilizing the dozens of DVD-R's my uncle made me, but I havn't yet decided. My parents divorced in mid 1983. My brother had just been born and things pretty much continued as usual although now there was nothing keeping me from seeing some of the movies I had been dying to see, but couldn't because my mother deemed them unsuitable for me. I covered my first experiences with Italian gore epics in one of the previous 'Monster Memories' entries, but now, I would branch out into actually buying the tapes themselves. LD's were pretty much gone from video stores in my area, the drive in's would soon be closing with one of them becoming a flea market prior to its later transformation into a tanning place. 'The Video Station' was the sole store in town that maintained a holy grail of the most gruesome exploitation titles imaginable. The good and bad of this was that my then favorite video store was closing its doors, but were selling off all their stock. I eventually bought up as many tapes as I could lay my hands on and these were sold for anywhere between $2 to $8 depending on how many times the videos had been rented. I quickly amassed a large VHS collection with the ones in the oversized hard clamshells and square cornered cardboard boxes being my favorites. 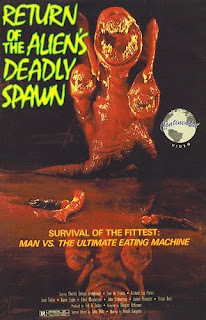 During that time, the artwork was incredibly lurid on many of these with the companies getting away with some outlandishly gory artist rendered covers. Some even sported nasty shots from the films on the cover. 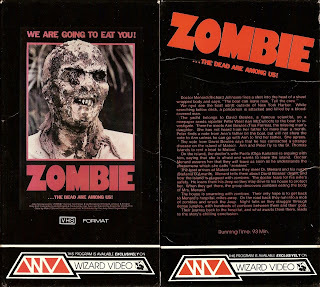 Midnight Video had the bloodiest drawn VHS boxes while Continental was brave enough to feature bloody stills from the movie on the front and back. Other video companies were more successful than others--Vestron, Media, Paragon and Embassy unleashed an awesome amount of horror and sleaze onto the public in the 1980s and I rented, or bought as many as I possibly could. There were smaller outfits, too, such as USA Home Entertainment and the even more obscure VCII Entertainment. 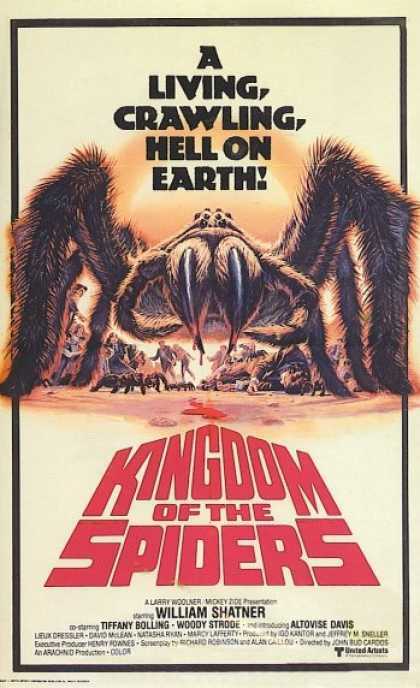 The latter, I had tapes for THE PROWLER and KINGDOM OF THE SPIDERS. This release of ANTHROPOPHAGUS is severely edited. The music is also different. 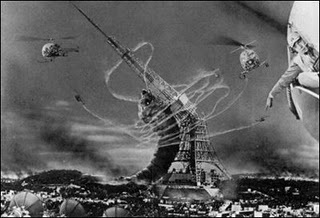 It utilizes cues heard on the old TZ television show and also heard in KINGDOM OF THE SPIDERS. I remember at the time I was doing any odds and ends I could to scrape together what money I would need to satisfy my VHS fascination. This included working at a video store (First called Adventure Video before becoming Beyond Video). I would often ride my bike there after school and hang out with my friends that worked there. I was too young to actually be on the payroll, but what little I did, I would get various posters and standee's when they were done with the video pre-release ballyhoo. These included a TEXAS CHAINSAW MASSACRE 2 life size standee and a Jason mask for promoting FRIDAY THE 13TH 7: THE NEW BLOOD. I still have the latter somewhere. Collecting video tapes was a fun hobby. Before I was doing it on my own, I would accompany my mom to K-Mart where I would peruse the limited selection. This was where I bought DAWN OF THE DEAD from HBO/Cannon Video. Budget tape labels were quickly becoming prominent. The big leader at the time was Goodtimes. I remember buying copies of LAND OF THE MINOTAUR, PSYCHOMANIA and NIGHT OF THE DEMON (1957) on these LP mode tapes. Video Treasures quickly became my favorite, though. They put out dozens of great horror and kung fu titles. Of special interest were these kung fu movie double features. The first set (in yellow boxes) were ports of old Saturn releases like BLOOD OF THE DRAGON PERIL, REVENGE OF THE DRAGON and DEADLY SHAOLIN LONGFIST to name a few. The second set of double features were the best and sported the best prints. Video Treasures eventually became Anchor Bay as the 80s came to a close. 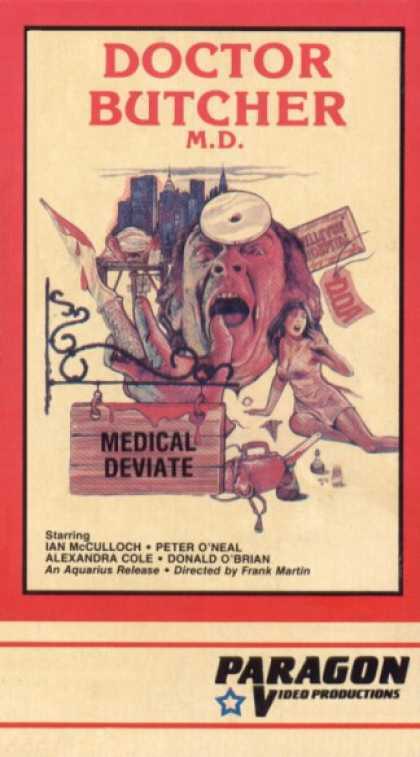 Interglobal was one of many videotape companies that specialized in LP mode releases of obscure movies. These included the horror/suspense thriller THE CLOWN MURDERS starring John Candy(! 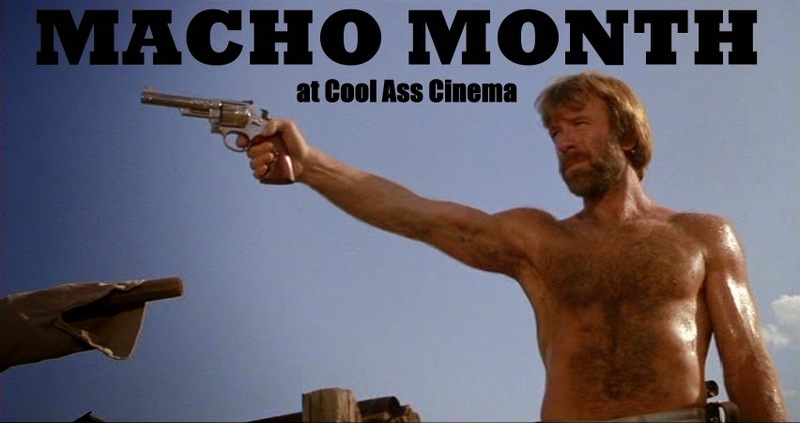 ), MONSTEROID, SISTERS OF DEATH, THE CRATER LAKE MONSTER and LONG WEEKEND. Interglobal tapes were around $6 a piece and I got a slew of them for Christmas one year including the above mentioned titles. In between all this, I also had an interest in art. My dad and his brother had exceptional skill in drawing superheroes. They have/had a vast collection of Marvel and DC comics, literally the first appearances and first issues of every famous Marvel character (and some DC ones) from the Silver Age. I've even held an Action Comics #1 in my very hands, it belonging to my grandfather. The back cover was half torn away, but you could buy a few homes today even with an issue not in the best of condition. I, too, picked up a passion for both drawing and collecting comic books. I would repeatedly draw one of my relatives drawings over and over till I got it somewhat close to the original. I was constantly pushed by friends and family to pursue it professionally, but I didn't think I was good enough, nor patient enough for such a venture. My tastes eventually changed, though, as I became more fond of characters outside the superhero spectrum. I loved the EC style of horror/suspense comic, CONAN comics (most particularly in magazine form) and even Conan parodies such as GROO, THE WANDERER. 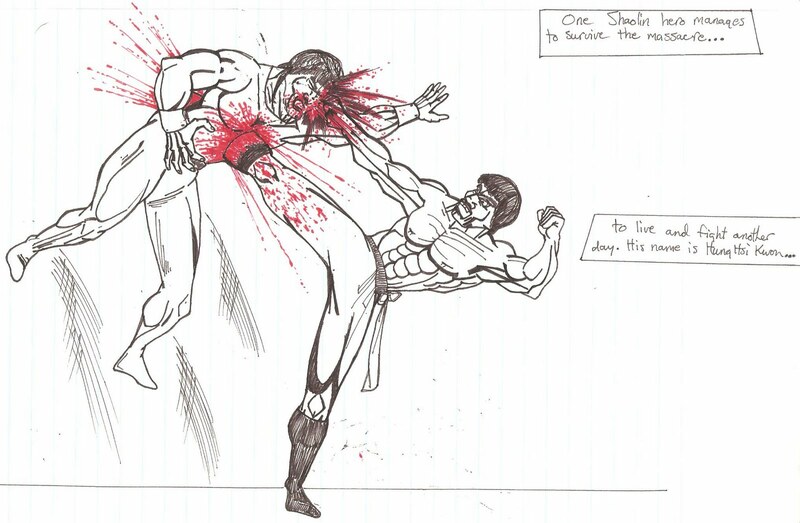 I preferred drawing in pen and later experimented with color particularly red to highlight the gore. I assume it was the allure towards the darker side of cinema that led to my appreciation of more adult oriented comic creations. Many of the drawings I did reflected this morbidity and upon my grandparents finding some of them, even pondered sending me to see a psychiatrist. 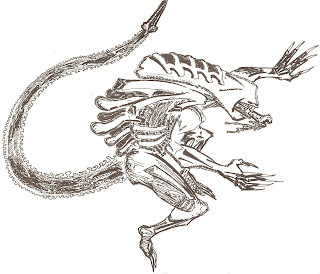 This was the mid to late 80's so horror and cinematic violence was heavily in the news at the time so it was natural that they would think me increasingly demented what with the gruesome images I was coming up with. To me, it was simply an expression of what I was seeing in these movies. I knew what was real and what was fantasy. 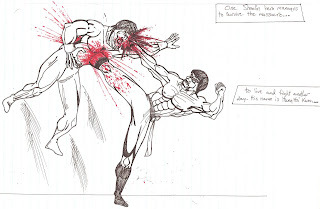 My love for kung fu movies soon meshed into my artwork and I eventually combined the two creating lots of extremely gory kung fu images. In spite of these horrific and viciously bloody drawings, I also did a long series of light-hearted drawings of my own personal "comic books". 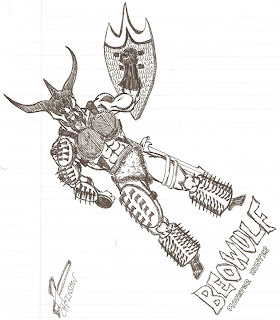 One of the silly Super Tooth spin offs I did from the third grade to the fifth or sixth circa 1986. I forget. This character was named 'Super Tooth'. I got the idea from a film strip (remember those?) we watched in either the third, or fourth grade. It was about cavities and what they can do to your mouth. The film strip was kind of scary and featured claymation style animation like what is seen in the Rankin-Bass holiday specials. I was a big fan of SUPERMAN, so I came up with SUPER TOOTH, a mighty molar superhero who battled his arch nemesis, the Time Master and his army of Cavity Creeps. 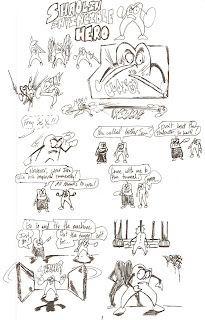 The series caught on with friends at school and I continued to do an entire series of Super Tooth comic strips, none of which I have save for the very first one I did that was in color and bound like an actual book although rudimentarily so. 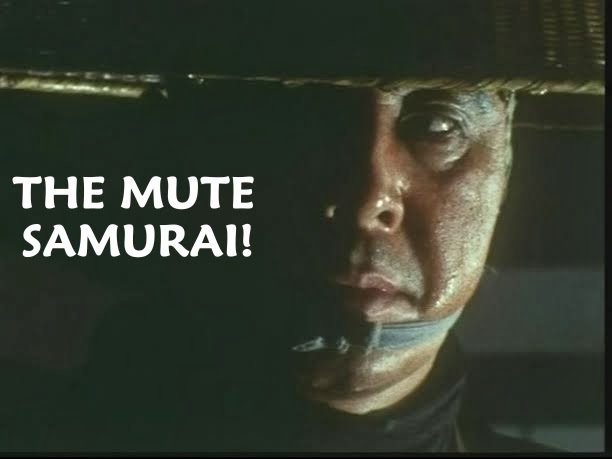 Again, my love of HK movies came into play and then switched over to stories about kung fu fighting teeth in stories ripped straight from what I saw on 'Kung Fu Theater'. 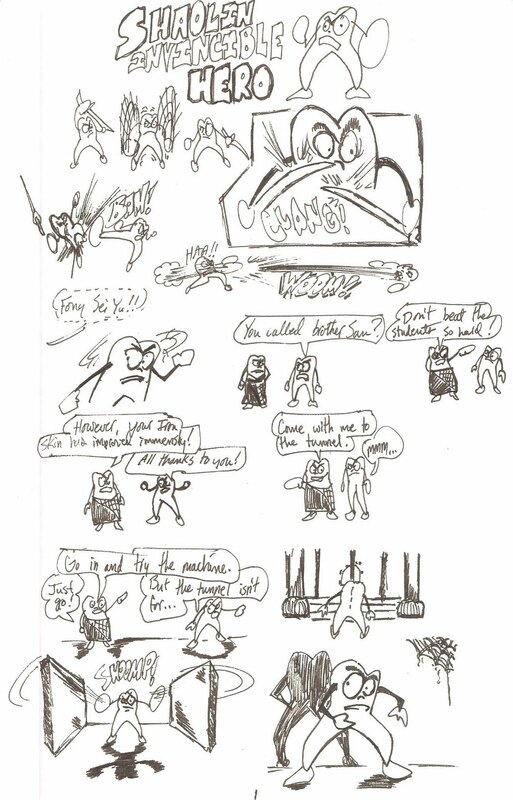 I eventually created hundreds of these Super Tooth spin offs, most of which have been lost to time, but six or seven pages of one strip still survive. Granted, I fluctuated back and forth between more serious superhero characters and these overly ridiculous strips that featured kung fu fighting teeth. I vividly recall in eighth grade my history teacher becoming incensed with me because I preferred drawing rather than listen to his Civil War re-enactment; he even came to school dressed in his uniform. The very character I was drawing is featured in the above image. The name "Chainsaw" was a nickname I was referred to in school. I don't remember how it got started although that SUMMER SCHOOL (1987) movie may have had something to do with it. Most probably if I spent more time on my studies during this time, I'd of gotten better grades than my usual 'B-C' average. I'm honestly not sure where all this obsessiveness with such things came from. As a kid I was rarely allowed to go over to friends houses and rarely allowed to have them over since my dad was afraid somebody would screw around with his stuff. My mother was more free about letting me socialize with friends, but the seed had already been planted. I began buying various magazines, fanzines and placing an occasional order with VHS tape mail order services. When VHS was beginning to shows signs of wear with this new upstart platform--DVD, I began collecting those even before I bought my first DVD player. I then foolishly sold off nearly all my VHS tapes at flea markets and made a nice bundle from them, but nowhere near the silly money some fans are willing to pay these days. I did hold on to around 50 cassettes of titles that, for the most part, still are not on DVD. A friend was to have transferred this 50 remaining tapes to DVD-R for me, but I only got a couple transferred from him and this "friend" ultimately made off with my stuff never to be seen again. Some of these were NEVER TOO YOUNG TO DIE (1987) and the Sam Kinison documentary WHY DID WE LAUGH? 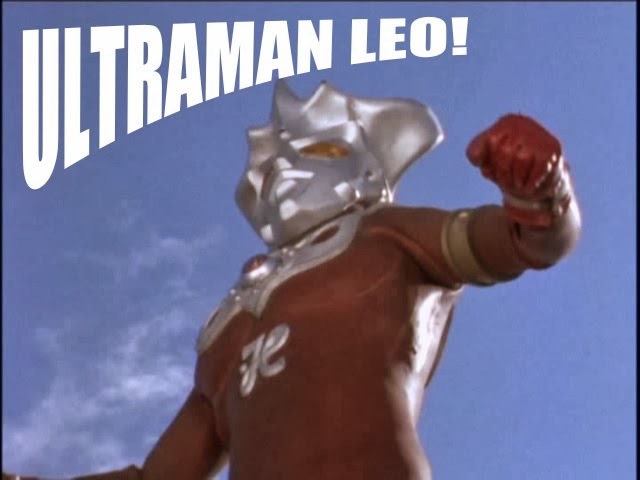 (1998;it's on DVD now). I sure wish I still had that JAWS LOG book! As shown in these entries, I've managed to hold onto and accrue a lot of various items useful only to rabid movie buffs like myself. Looking back on all this various memorabilia and cinematic paraphernalia, I sometimes think to myself just how I would have turned out if I was raised differently, or how much money I'd have had I not spent it on these kinds of things. A part of me regrets a lot of it, part of me sees it as a hobby like any other and a big part of me, if able to go back and do it all over again, wouldn't have it any other way.